This is a real knock 'em dead ring and one of my favourites. 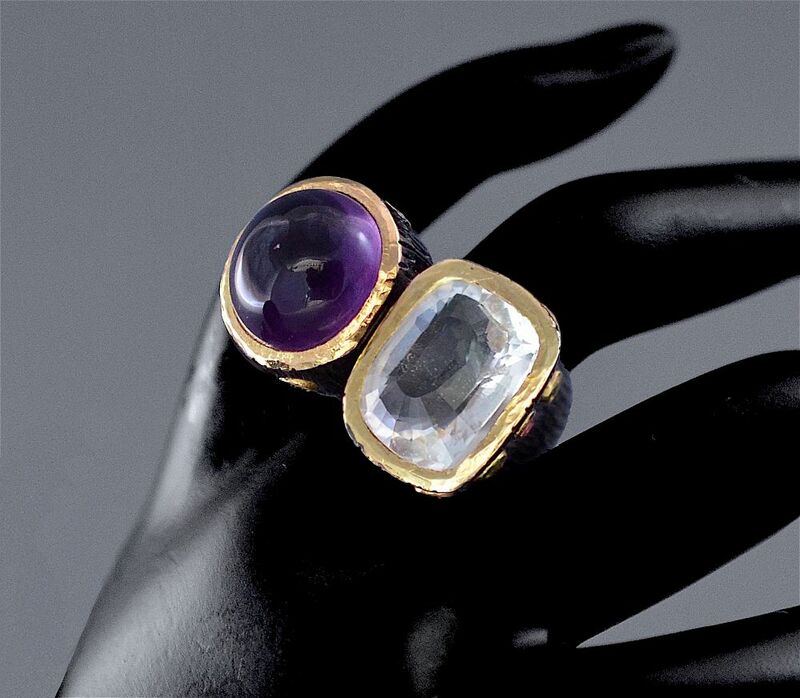 Designed by Toma Clark Haines for the TCH COLLECTION it has a large amethyst cabochon and a cushion shaped faceted quartz set next to each other in textured 18ct yellow gold plated silver rubover settings. 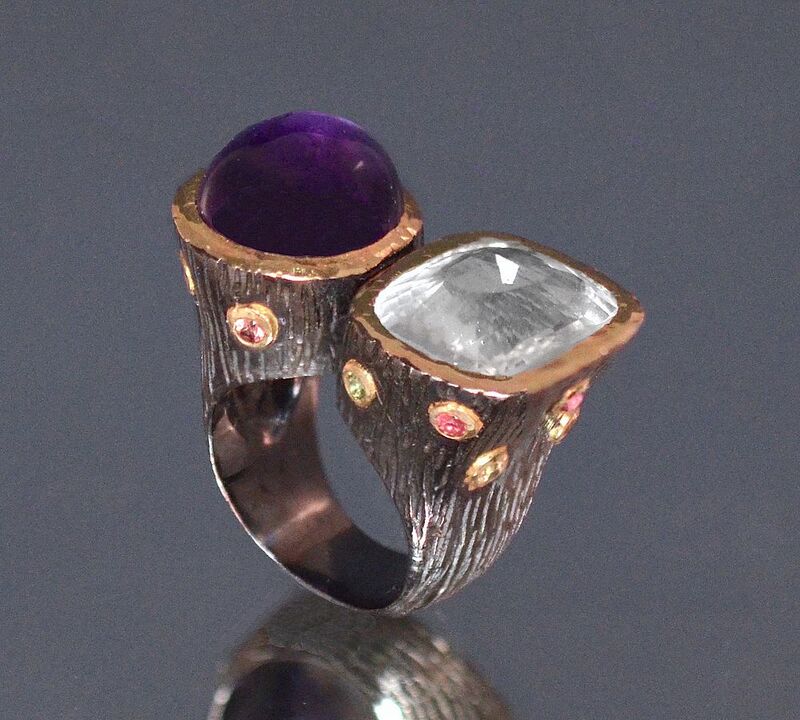 The silver shank has been black rhodium plated and there are 2 rows of round mixed coloured sapphires in textured 18ct yellow gold plated silver rubover settings set below the 2 principal stones.